Thanks to its marketing and trading arm, Glencore has a better feel than most for what’s going on out there in commodity markets. And because of the confidence that comes from having a big stake in the company, Glencore boss Ivan Glasenberg doesn’t waffle on the subject like so many of the paid servants at other miners do. Glasenberg was his adroit self when running through the commodity outlook at Glencore’s profit result call this week. The highlight had to be his thoughts on copper. “We all know that demand for copper is going to go up, that’s the copper market today, around about 23m tonnes,” he said. “If we get 2 to 3% demand growth around the world, depending on what happens in China, you’re talking about another 500,000 tonnes, 600,000 tonnes of copper being required per year. Glasenberg noted that the only new mine coming on was First Quantum’s Cobre Panama. Makes you wonder if there is a second leg in the copper price rise to come sometime soon, and if the idea that the ASX-listed copper producers and explorers are indeed fully priced, as most pundits suggest, is on the money. The American’s are a patriotic bunch, that’s for sure. And with Trump in the White House, “Made in America” bumper stickers have some real meaning to them. It’s that backdrop which makes it hard to dispute ASX-listed Piedmont Lithium’s claim (PLL) that it’s got the world’s best-located lithium project business. It helps that its namesake project some 30 miles outside of Charlotte in North Carolina sits on a mineralised trend which was the world’s primary source of lithium-bearing spodumene in the 1950s-1990s when no one really cared about the stuff. The so-called Carolina tin-spodumene belt hosted the two historic US spodumene mines and while spodumene production stopped back in the 1990s, the big boys of Albemarle and FMC continued with their lithium processing operations, mainly with South American and Chinese lithium carbonate material. Piedmont is out to restart spodumene production from the belt and become a lithium carbonate producer/processor itself to capture the higher margins for the value-added material. The “Made in America’’ stencil on its bagged project is set to give it a leg up in dealing with the US auto industry on the sourcing of material for the mighty swing towards electric vehicles in the US. On that score, there was chat recently about some guys from GM seen walking the Piedmont ground. Having a project in a region that has done it all before, and where low labour and energy costs and a smooth permitting process delivers real benefits, makes Piedmont an obvious port of call for the US auto makers – and their battery partners - as they get busy sorting out their raw material supplies for the EV revolution. Piedmont has got to lots of boxes to tick before it returns North Carolina to both mining and processing status in lithium. A maiden mineral resource and confirming metallurgy work would be a good start. They are on their way in coming quarters, as is a scoping study, probably in June/July. By the fourth quarter of 2019, the plan is to have a feasibility study done so a final investment decision can be made for construction to start in 2020, with first production in 2021. Lots of “ifs’’ and “buts” in there which explains while Piedmont is yet to capture the sort of market rating that is applied to players in the crowded Australian lithium space. It has been trading at 17c for a market cap of about $90m. To juice up the not unreasonable expectation that as the milestones towards a development are passed, there will be re-rating events, and the company is planning a US listing. The scoping study is the near-term key for the stock. If it points to an integrated spodumene/lithium carbonate operation good for 20,000-25,000 tonnes of annual lithium carbonate equivalent, people will sit up in this market, and the US. Foster Stockbroking had a stab at what the first of the milestones – the maiden resource estimate – might mean for the company. On a comparative peer enterprise value/resource valuation method, it set a 30c price target. No surprises for guessing that the Fosterville mine near Bendigo in Victoria allowed Canadian gold producer Kirkland Lake to show up its Aussie peers in the latest reporting period. First there was an updated mineral reserve estimate for Fosterville. It grew to 1.7m ounces at a spectacular average grade of 23.1g/tonne. Within that, the reserve estimate for the Swan Zone grew to 1.16m ounces at an average grade of 61.2g/tonne – or close enough to 2 ounces a tonne, if you don’t mind. There was little wonder then that Fosterville led the way for Kirkland in the December quarter production stakes. December quarter production was 79,157 ounces at an operating cash cost of $US226 an ounce sold and the all-in sustaining cost came in at $US471 an ounce. 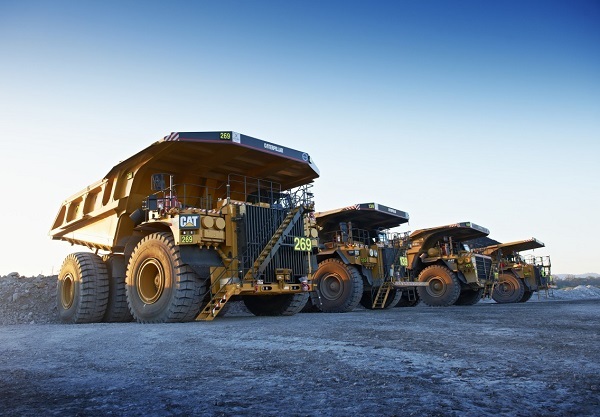 Kirkland is working on ramping up production at Fosterville to 400,000 ounces annually over three years by which time it will be well and truly staking its claim to be Australia’s best gold mine, if it’s not already. Good luck to Kirkland too. And while Kirkland now has a secondary listing on the ASX, its CDI’s are very thinly traded. It would have been a whole lot more fun had Fosterville been housed in an Aussie gold company. There were plenty of opportunities for that back in the early 2000s when Fosterville was struggling under its then-Australian ownership, only to be picked up in 2008 by Canadian group Northgate, acquired last year by Kirkland. But who was to know that the troublesome Fosterville with its 120 year history of on and off production would one day become the belle of the Australian gold scene, particularly given Victoria’s poor record on old gold mining centre revivals in the 1980s, 1990s and the early 2000s. While lamenting Fosterville’s Canadian ownership for no other reason that it would have been more fun to have it in Aussie hands, it has to be said that the Canadian’s spectacular success at Fosterville after a combined 10 years of ownership is having a nice rub-off on the ASX juniors exploring in the same part of the world. Interest in their 2018 exploration program is heightened to say the list. On that score, it’s worth passing on multi-pub talk that one of them has hit something interesting. As its only pub talk, there is no name today, and no suggestion that there is another Fosterville out there. Still, it could be fun if the chatter is on the mark.